Along our career we have found real challenges. 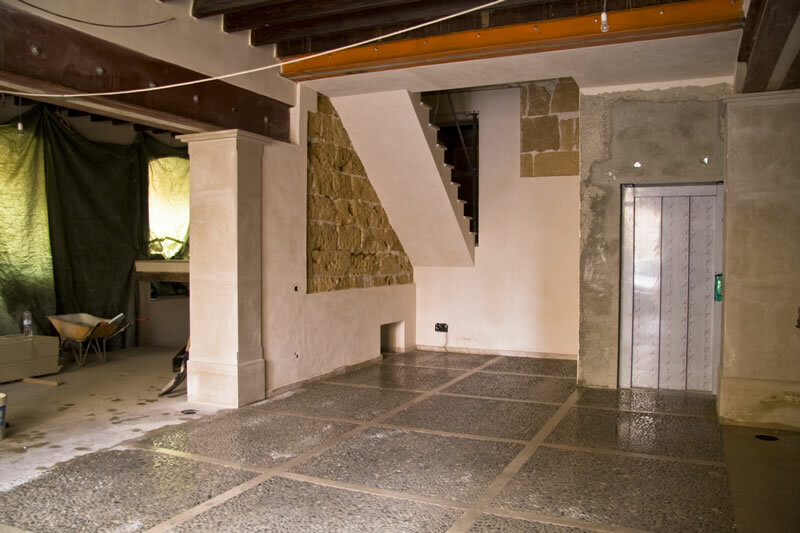 In DEVELLNOU, thank to our experience and infrastructure, we will offer structural reinforcement solutions. 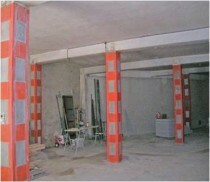 Type of construction: Replacement of roof and floor slabs, temporary bracing members on ground floor garage. 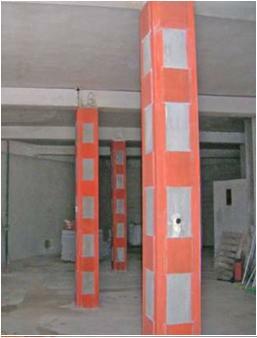 Workers trained in safety, analysis for each work of the potential risks. Development of a prevention plan. Liability insurance to third parties. 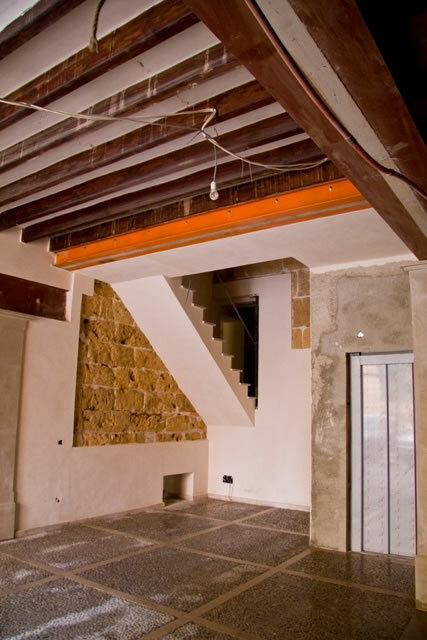 Works: Steel beams structure, recuperation of wooden and concrete beams, placement of sandwich panels, restoring mortar application, metal reinforcement, trowel finish. Sanitation installation. 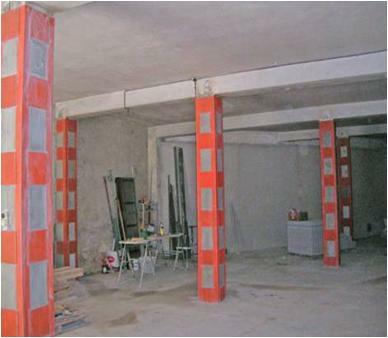 Palma – Compte Sallent ave.
Abstract: Structural reinforcement on pillars and floor slabs on ground floor. 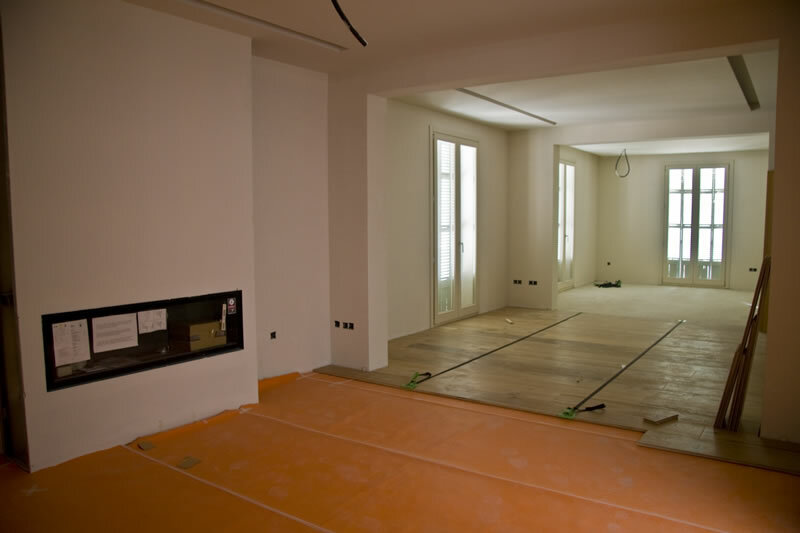 Review of the rehabilitation, process definition, planification of the intervention, control of the construction projects. 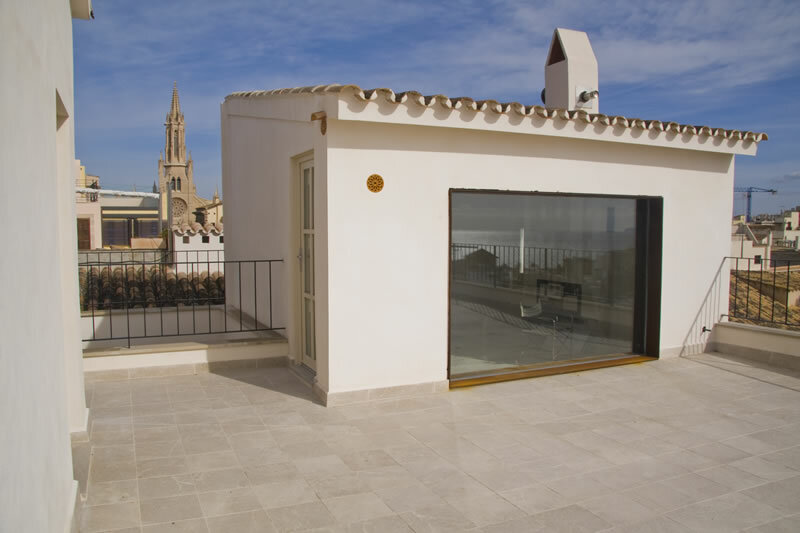 Works: Placement of metal angle iron and plates, restoring concrete application, antioxidants paintings, masonry of concrete blocks.